It’s that time of year when many parents, like me, are trying to help their teenagers to decide on their futures. Whether it is what college courses to take or which university studies to follow it is, as usual, a minefield. Clearly we want our children to do what they love and, hopefully, what they are good at but, in these times of accelerated change, we also want to steer them in a direction that they can be successful in. 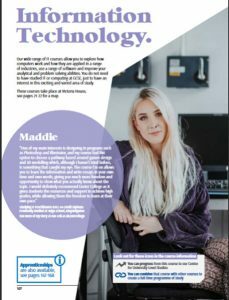 With computerisation, robotics and AI (Artificial Intelligence) developing at breakneck speed we may wonder whether their career choices are going to provide them with the future that they might hope for or whether it is leading them down a dead end. Are the safe careers of Medicine, Accountancy and the Law still safe? What is the future for Construction, Journalism or Drama? You’ll be glad to know that researchers at Oxford University have looked at which jobs are most at risk from computerisation. You may not be so glad to find out that many of the historically safest jobs are ones that are most likely to be hit. The most obvious criteria for the likelihood of robotics taking the place of humans is those jobs which are the most repetitive and predictable. Much like the invention of weaving and knitting machines and farm machinery during the Industrial Revolution these are the simplest jobs to mechanise. We’ve already seen this in the automotive industry where the work of most of the Automotive Engineers is being done by robots, with just a few left keeping an eye on things. This is also on the cards for construction where the work of 3 or 4 Bricklayers will be done by a robot and 1 bricklayer doing the fiddly bits (although quite why we’re building robots to do what is a rather outdated construction method in the first place is beyond me). We’ve also seen the automation of jobs in banking, with many high street banks disappearing as more is done online and telephone and those annoying automated ‘press 1 for payments’ taking the place of thousands of call centre operatives. Retail jobs have already been hit by self-scanning aisles and Amazon are already planning their fully automated Amazon Go ‘just walk out’ shops. AI will take this even further with robots that can learn and adjust, able to do less predictable work. There will probably always be a need for Accountants and Lawyers at high levels, dealing with complex issues, but the more mundane work is already being taken over by computers. Most small businesses can have online accounting systems that work out their profit & loss and their tax liability. These are likely to get more complex so that the need for the everyday accountant will disappear. This is also true of much of the work of Lawyers. You can already get a quickie divorce online, download contracts and other legal documents. It makes one wonder how anyone will be able to get to the heady heights of a safe job in these fields when the lower, entry level, jobs will all but disappear. We’ve all heard about the automated cars which are already on the horizon and are set to take the jobs of Taxi Drivers and Chauffeurs but what about Truck Drivers, Train Drivers and the like? Uber is already testing out driverless cars in Pittsburgh and nuTonomy have some already on the roads of Singapore. Catering is another place where the repetitive work of fast food outlets is soon to be automated. So what will be safe? Creative intelligence is an area they see as being reasonably safe. This may all look quite rosy for people in the creative professions such as drama, music or writing but perhaps we shouldn’t be so laid back. Google have been working on systems that will be able to create original art or compose music. Their Magenta programme has already produced its first piece of original music (note that the only decent bit of this music, the rhythm and bass lines, were added afterwards). Whether it could yet be described as artistic, or even any good, is another matter, and I have a feeling that they may be able to produce the Stock, Aitken & Waterman style of pop factory music but we will still need the human to produce great works with the soul that makes a piece timeless, although, even in this area, computers are able to produce music ‘in the style of’. In the area of acting we have already seen CGI providing us with the digital reappearance of Peter Cushing, who died in 1994, in the newest Star Wars film. Could this be a step towards a film industry that populates its films with the greatest actors of the past? Certainly in this area we have seen CGI special effects take over from the modelmakers of the past and probably set construction will go this way as well. Certainly their research at Oxford suggests that jobs that require complex relationships, social or emotional intelligence will be amongst the safest. These are caring jobs such as Doctors (and Vets), Nurses and Therapists, although the advent of telemedicine will reduce the need for basic diagnostics. Telemedicine can check anything from blood pressure to heart rate but, in the future, may be able to analyse samples of blood or urine and alert doctors when anomalies arise. Computers are already being used to diagnose cancers and provide individual treatment plans based on over 600,000 medical records, genetics, personal history etc. Other jobs that are likely to be fairly safe are those that involve unpredictability or working in awkward spaces such as the Plumber or Electrician that deals with problems in your home. Science and Technology are probably the safest but even here areas like software engineering are likely to be done by computers. Teaching is fairly safe at primary level but already University level courses can be done online so, although some teaching staff will still be required, it will be much reduced (however, perhaps many could be deployed to teach younger children at higher staff to children ratios). Negotiation and persuasion are areas they see as requiring humans so there is likely to still be the need for people in Sales, Business Negotiation, Politics etc. One area that seems to be particularly safe is ‘performing humorous and serious interpretations of emotions, actions, and situations, using body movements, facial expressions, and gestures’. So my son, who is in the very precarious profession of being a Comedian, may just have chosen one of the safest careers after all!